We didn't end up buying a car here only because my freakishly long body wasn't a great fit but the salesperson was great. He knew the answer to every question I asked about the car which is rare in my experience and was low pressure. I wished it would have worked out because I would have loved to have purchased a vehicle from him. From Sales to Finance to Business to Service, everyone here has the highest level of service standards. they all went out of their way to help me throughout the process. I am so mesmerized with their effort of going an extra mile to make us happy that I am actually going to send a text to all my 2000 contacts to go and get a car from this dealership anytime they need one. A hearty thank you once again! I reached out to Zora Layegh because she had a fantastic reputation. Every car sales person tried to put me in something I did not want. Zora heard exactly what I wanted and searched for it! She worked hard. I loved the fact that she listened and respected me. The entire experience with her was amazing. She is a very classy smart sales lady. Thank you Zora and I am LOVING my new Kia Soul with EVERY feature I imagined. Tony sold me my dream Kia and I've never had any issues ever since. He made everything so easy for me. If you ever need a car visit Tony for a smooth, safe ride!!! Chris and Tony helped me purchase my first car last night .Couldn't believe the amazing deal I got. It was truly an awesome experience .What I loved most was they weren't pushy. A lot of dealers I've been to I left feeling annoyed because the salesmen were way too overbearing. Chris gave me space to decide and I loved that . These guys are seriously so generous and I highlt recommend this dealership especially for a first time buy. I cant even explain how much KIA did for me! Best group of people I ever bought a car from! Thank you for thinking of my family and I best interest in mind and not just trying to make a sale! Indy, Jenny and Adian that you from the bottom my my heart! You guys make the world a better place! Cassandra.. forever a long term customer and part of the applewood family.. This is my second optima I bought from Applewood. Never had any issue. Excellent vehicle and Excellent service with professional customer service. Please, continue like that and I'll keep visiting you for all my driving needs. The service centre was fast and friendly. Was interesting reviewing the cam audio/video afterwards (they did everything perfectly). The sales team are the best. Such a strange feeling to be treated the way I was after having dealt with Toyota and VW for so many years of horror stories. For me, it's only Kia and Tesla from now on. We had a great experience at Applewood Kia. Iryna was very patient the first time we went. She answered all of our questions and even suggested a few other things to think about based on our needs (we were deciding between two cars) and didn't pressure us into making a decision. When we came back she was again lovely and focused on calming my nerves, even when I wanted to test drive the car again. Tony, Peter, and Jenny were all wonderful throughout the process as well, and were very patient while myself and my partner talked things through, which I really appreciated. 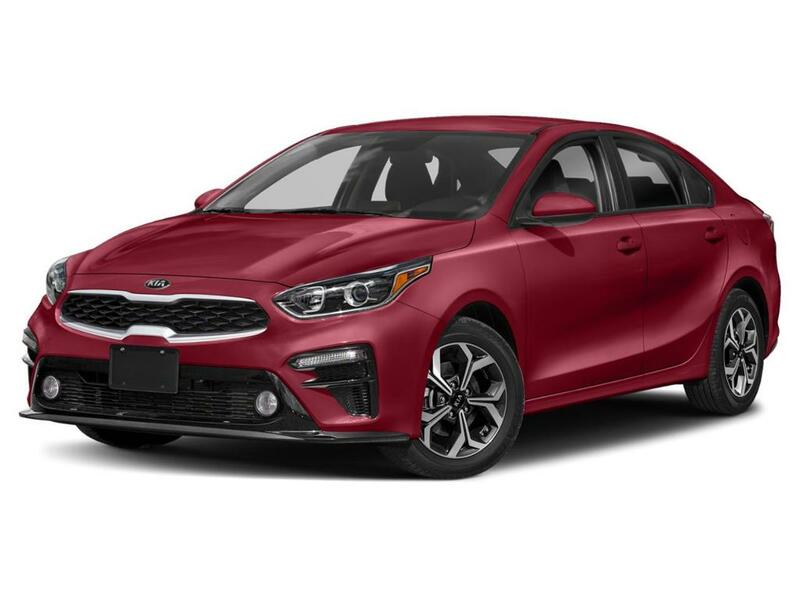 My partner has purchased a few cars before, but I have not and was very nervous, so the level of service really made a difference for how I felt about the purchase. Would 100% recommend Applewood Kia!!! Good service and shuttle and good vehicles with a good warranty see Zora for a good sales person. My husband bought an SUV from Applewood surrey. Jack was the one who recommended it(Kia Sorento 2015 SX) fully loaded. All of them to be honest are very cool and professional by their customer service. Their maintenance is perfect they don't even bothered even if you were picky. I would like to give a shout out to Bhupender Singh ,Bobby, and Jenny in finance. This place has improved and only for the better. I have been car shopping for two weeks thankfully my wife wanted to come back to Applewood I was a bit reluctant. Please note this dealer ship has changed and the actual sales department will go out of their way for you to keep you happy and the do appreciate your business. 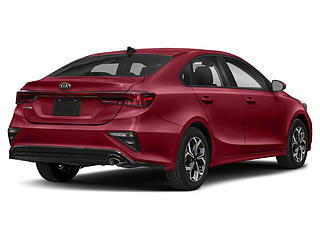 I will continue to come to Applewood Kia for my service and new vehicle needs in the future. 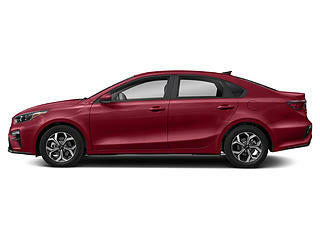 Have bought two Kia Sportages from them over the years. Happy with both vehicles and the quality of service they provide. A drop off and pick up service is available for free. They always vacuum and wash the vehicle after servicing. Overall the best experience we've had with a dealership. Cody did a great of helping us select a vehicle without the usual high pressure sales tactics and Neil and Adam in the finance department were both very polite and personable. To top it all off when I stopped into the dealership they noticed I had a flat tire and had one of their techs put my spare on free of charge even though it wasn't purchased there. Great job guys, we appreciate all your hard work! The staff was exceptionally helpful. They were very friendly and informative. I would highly recommend this location. I may have to change my previous recommendations on the manner they charged me for a labor services yesterday. I went there to buy a lug nut key and to let them change a lug nut lock on one wheel ofy car. I almost fell off my seat as I was charged $65 for labor just to chance one lug nut lock. Yes, that's right, one lug nut lock. As I was informed about the labour price, hell, I have to take my medication right there just to control my blood pressure else I will have a heart attack inside their service office. The only good thing about it is the courteous manner I was served but the labor services charge, no way! It was a very expensive 5 minute nut job! Ray & Aman were great. They helped me with everything I needed. Cindy was also very great with the financing making sure I got the payments I wanted. Overall I had a very good experience. Always been good service. Had KIA dealer in Richmond tell me I need a variety of maintenance work done. Applewood KIA said it was not needed. All has been great with their service. Stacy Scott at the service desk and also from VJ the friendly shuttle driver. I’m sure that everyone behind the scenes who works on the vehicles deserves kudos as well.. It was a pleasure experience to deal with professionals at Applewood Kia. They were friendly and helpful. All options were presented and explained. All questions were answered. Ask for Ray. Thanks again, I love my new car. Just got a brand new Forte from Ray! It was a great experience, Ray made sure I was well taken care of. Jake and Jenny were amazing and helped make the process a breeze. I've always had incredible service. Fast, easy and efficient! I never have a worry when I have any car troubles or need an oil change because I've always been well taken care of. Fabulous employees and customer service. I’m always pleased with my experience at this location. I’ve mainly dealt with the staff in Service and Sales and have consistently felt more than well looked after. The staff do a fantastic job at making me feel like a valued customer. I don’t get the pushy vibe like I do at other dealerships. This location is an easy 5 stars ! Would highly recommend to family and friends ! Amazing service everytime I go in. I have bought both my Kia's here and I can honestly say they are the best vehicle I have ever owned. The people at this location always are looking out for the customers best interest! I traded in my car and purchased a BEAUTIFUL KIA OPTIMA from Applewood Kia. I had amazing customer service from beginning to end of the experience. Everyone from receptionist, salesperson, manager, and especially service department are absolutely great. AND I love my car! The service department is quick to deal with parts and service and even offer you coffee, cappucino and lattes. 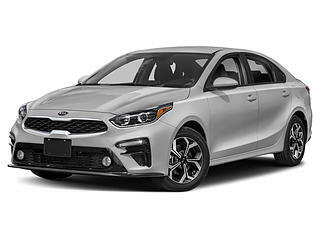 I tell my friends and anyone else looking to trade in and or purchase a new vehicle to go to Applewood Kia on Fraser Hwy and 162 str in Surrey. If I could give this dealership 100 stars I would. Although we couldn’t get a deal finalized, Tony and Aman tried literally everything in their power to get me to my budget... which was super tight ( we are talking 185/ monthly @0.99%) which was insane. They were respectful, not pushy and really tried to help me and got me to my budget where other places could not. The only reason why the deal didn’t work as my insurance would go up to high as I am a newer driver. Prior to this I went to a few dealerships and the salesman were pushy, cold, and unreasonable. This dealership was the complete opposite. If anyone wants someone who can work with their budget and get them an insane deal but also salespeople who are respectful and friendly you need to hit up Aman & Tony. You will not be disappointed! I cannot wait to come back and get a car from them when I have a bigger discount on my insurance! I upgraded my 14 year old kia spectra with the very knowledgeable and helpful salesman Ray. I had a slight miscommunication over paperwork and the moment he found out I was less than 100% happy he reached out to me. we figured everything out and I'm super excited about my new choice a sportage Ex premium I love it! thank you Ray for keeping it real. Kia is lucky to have you. I recently purchased a Kia Niro and was very pleased with the excellent service rendered by Thomas and Jai. I would highly recommend this dealership. Amazing service. Thank you Thomas and Jai! We were greeted right away by a very helpful young man named Ryan, he answered all our questions and was not pushy which we really appreciated. We are happy with the service from the rest of the team and will recommend Applewood to all of our friends and family. If you are considering a Kia definitely ask for Ryan! Love my Kia Soul thank you.